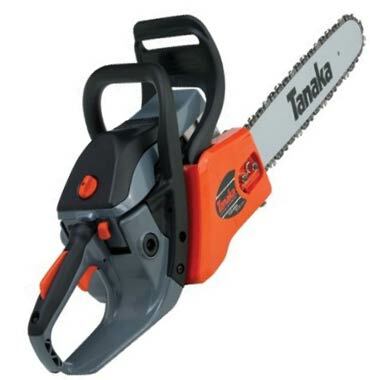 Whether you are trimming the bushes or pruning your oak tree, a chainsaw is an essential power tool for you. It can offer the power to get through the thickest and most stubborn branches. 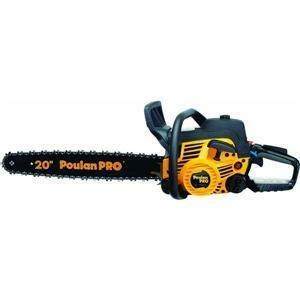 Poulan Chainsaw products offer quality, power and most of all, durability at an affordable price, making them an extremely attractive alternative to the high end commercial equipment. 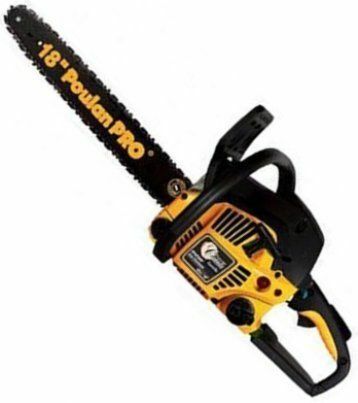 This Poulan chainsaw is equipped with a 16-inch bar and a 3.5 peak horsepower, making it ideal for the medium size cutting jobs that are done close to your house or power outlet. It also features an automatic chain oiler and tool-less tensioning system, providing you an ease during operation. Featuring a DuraLife engine with a heavy-duty forged crankshaft and connecting rod, this Poulan Pro 18 in. Gas 42 cc Chainsaw has a long working life. The combined choke and on/off switch helps prevent flooding and it has a mail in offer for a free carrying case. . The Poulan PP4218AVX chainsaw is powered by a 42 cc 2-cycle gas motor, and it features an over molded rear handle and an anti-vibe handle for a better grip and low vibration while functioning. This Poulan chainsaw automatically checks for lubrication and supplies oil to the chain for a smooth operation once refilled with oil. 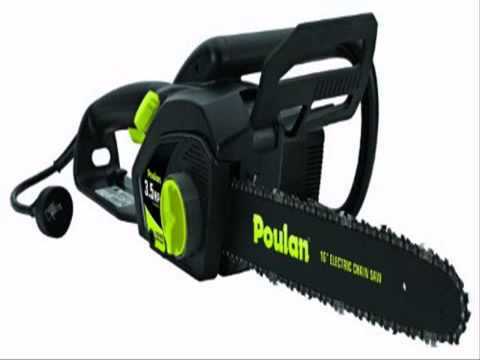 This Poulan gas chainsaw blocks the rotation of the chain when kickbacks happen with an inertia-activated brake. With the latest and greatest features at industry leading prices, the Poulan Pro PP5020AV features an effortless pull start system and reduced vibration handle so as to reduce fatigue. It is also equipped with a 50cc DuraLife engine, Purge and Spring Assist, Super Clean air filter system and automatic chain oiler and so on. Equipped with a cutting capacity of 28 inches diameter, the Poulan 14-inch, 33 cc gas chain saw is ideal for light cutting jobs around the yard. The inertia-activated chain brake stops the rotation of the chain should kickback occur for safety. Its auto-oiling system is designed to keep the 14-inch steel bar and chain fully lubricated.